Save your spot in one of our next classes! Drop-in class rate is $25. 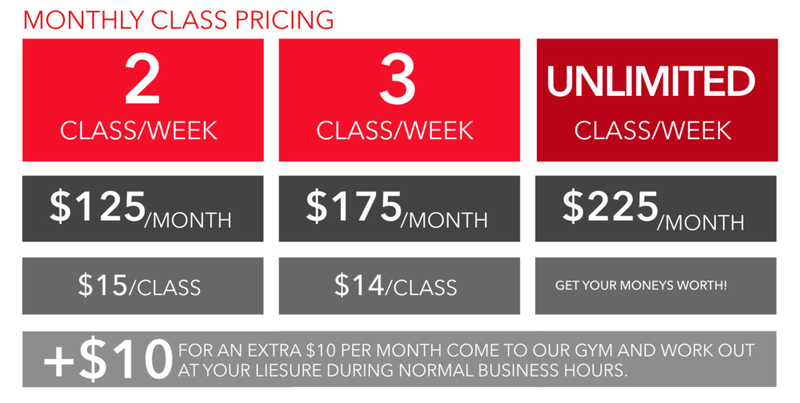 Group classes are an awesome and cost-effective way to get training at Tri Fitness! Our classes never exceed a client-to-trainer ratio of 8:1. This ensures safety as well as individual attention to make sure you're getting the most out of our classes. Our classes are a small community of supportive and uplifting people having fun together in a non-intimidating environment - all while getting a great workout and having top-of-the-line professional/expert guidance and accountability to help you reach your fitness and health goals. All classes will follow a periodization format. What does this mean? It means that there are certain times of the year that are "in season" and others that are "off season." So group classes will reflect times of the year when you need to be working on form, repetition, and technique, etc., and other times of the year when intensity and performance is a priority. This ensures that you will be race ready when its race season! We invite you to try your first week with us for FREE! Level 1. Instruction in the basic strength and conditioning exercises used in all other classes. Level 1/2. Combination of total body strength with cardio exercise. Level 1/2/3. Class utilizes stretching straps, foam rollers, and other tools to improve muscle elasticity and core strength while identifying tight and troubled areas. Level 1/2/3. Basic muscle activation and stretching routines utilizing continuous motion, breath awareness, and body weight resistance. Level 1/2/3. Run based workout including strength, runners not only need to run but need the basic strength exercises. The basic exercises are designed for runners to become more efficient, stay injury free, and become faster runners. Level 1/2/3. Strength based, total body workout. It may include some cardio. Level 1/2/3. Bike workout? Run workout? It’s both! In this Jekyll meets Hyde mashup you’ll hit the ground (or treadmill) running after each round of pedaling. Practice proper form and cadence for cycling and running and master the dreaded brick while you practice your transitions. Level 1/2/3. Bike based workout to improve pedaling technique and power on the bike. BYOB. Level 1/2/3: Coached swim workout that will improve your swim endurance, power, and technique. Level 2/3. A perfect combination of strength and bike. Alternate spending time on the bike improving your pedaling form with time in the training center off the bike improving your cycling strength. Level 2/3. Develop true muscular strength with primary moves such as squats, deadlifts, and shoulder press to improve your power output. Level 3. A full body strength, cardio, and gut busting workout. This is not for the weak or weary, this class will test every cell in your body, guaranteed to make your sweat and “possibly” swear. *Testing: Performance Cycle, Zip, and Swim. Testing is done to benchmark performance and show improvement and be assured your next 6-weeks is in line with your goals. Level 2: Some level of experience is suggested, class includes more complex movements and moderate intensity efforts. Level 3: Previous experience with Tri Fitness is required or pre-approved by the coach. Very high intensity combined with challenging movements.